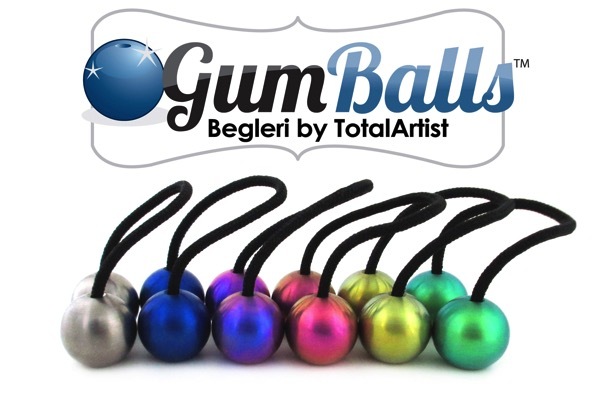 YoYoExpert Blog & Yo-Yo News – TotalArtist Titanium Gumballs Begleri! Gumballs begleri were designed by The TotalArtist, fellow YoyoExpert forum member, yo-yo and general skill-toy collector, begleri player, and the maker the Gumdrops begleri, that are also available here in the store. Begleri is a skill-toy, two beads on a cord, used to do hand tricks, a relaxing past time that tends to ease the mind. FRIDAY 7/27 @ 8PM EDT!